This Tomato Avocado Bruschetta is a delicious twist on the classic bruschetta. Creamy avocado pairs perfectly with fresh tomatoes, basil, and parsley. Dice the tomatoes into small pieces and set aside to strain in a colander while you prepare the rest of the ingredients. Use a wooden spoon to stir the tomatoes to strain the extra liquid. Dice the avocado into small pieces (1/4 - 1/2 inch each). In a large bowl, combine all the ingredients - strained diced tomatoes, avocado, grated garlic, chopped parsley and basil, salt, and pepper. Mix well. Brush the olive oil on one side of the baguettes and place in a pan over medium heat for 2-3 minutes, or until the baguette is toasted and golden brown. 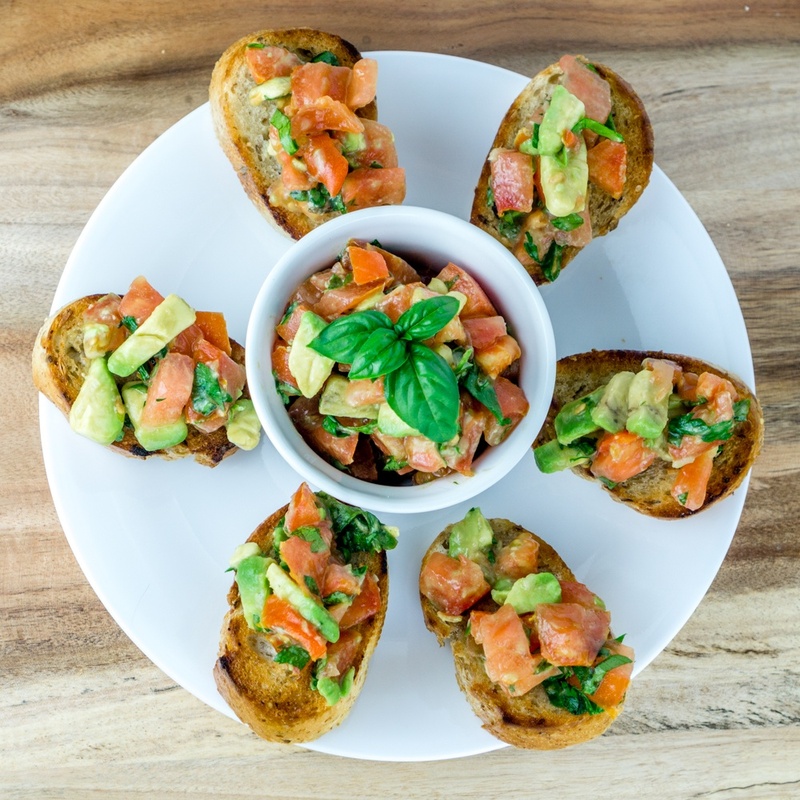 Serve the Tomato Avocado Bruschetta over the toasted baguettes.